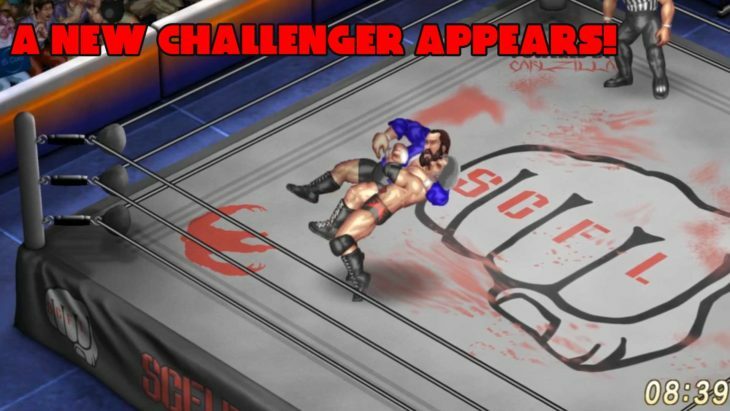 On an unusually balmy spring day in Beliribuon, Iowa, the SCFL Pro World Championship was once again on the line in Discussion Davis’s open challenge, with Discussion Davis adding a second hash mark to his title with a win over Magomed Ashmonov. The challenge was unexpected from Davis, who finds himself unconcerned with the happenings around the league, but insiders read Asmonov’s confusing challenge to Davis prior to the show and were hoping that the Dagestani warrior would finally get his chance to shine on the biggest stage in SCFL Pro. Asmonov came out, much to Discussion’s surprise, and took the fight to him. 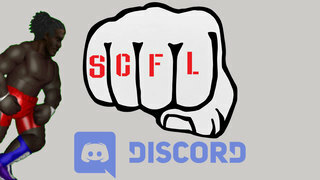 In fact, it looked like Ashmonov was on the road to claiming the title in what would be one of the biggest upsets in SCFL Pro history before the fifteen-minute mark kicked in. For those that have followed Discussion’s career in kickboxing, he’s known as a “championship rounds” fighter, as in, he comes alive in the fourth and fifth rounds, which is where he delivers most of his damage. That was precisely what happened here, where he roared back and took the fight to the Dagestani warrior, with Ashmonov kicking out of the Champion’s Fall earlier, but falling to a front kick to the back of the head — a move that Discussion is well known for — which was enough for the three-count. The challenge was perhaps a bit of a step up from the prior week’s fight against Dougie Middle, who camped out under the ring all night to ensure his shot at the title, only for Dougie to fall within minutes to the motivated-Davis. Next week will see Sledding Bianchi’s annual BBQ event in his newly-renovated backyard and although there will be a ring set up for the SCFL Pro Dot TV Championship showdown between Wim Nijman and Offers Thompson, it’s unclear if Discussion will be taking on any challengers at the party or just relaxing like everyone else. This week taught us that just about anyone could be a threat to Discussion’s title and that he needs to not continue taking the roster lightly. He is, after all, a man that went 30 minutes with Dougie Middle and 60 minutes with Let Liu and Xylophonist Bianchi. He’s only mortal.